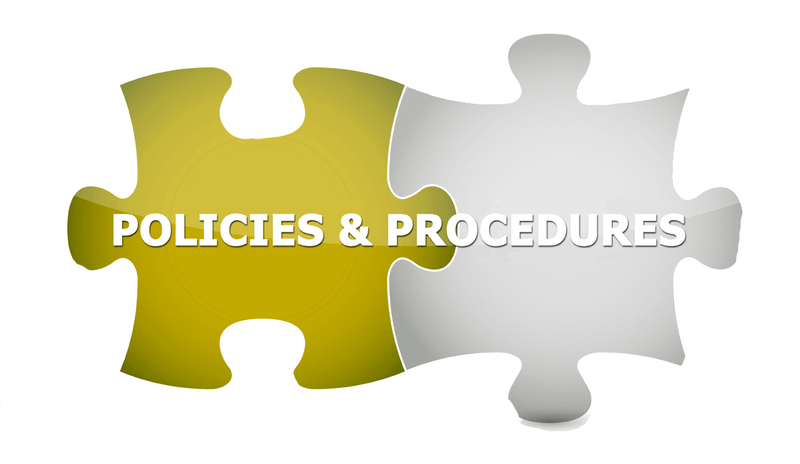 ﻿ Policies - Shreeshay Engineers Ltd.
Introduction: This Code of Conduct (hereinafter referred to as "the Code") has been framed and adopted by Shreeshay Engineers Limited (hereinafter referred to as "the Company") in compliance with The Securities and Exchange Board of India (Prohibition of Insider Trading) Regulations, 2015 (hereinafter referred to as “the Regulations”) replaced the Securities and Exchange Board of India (Prohibition of Insider Trading) Regulations, 1992 w.e.f. 15th May, 2015. The SEBI Regulations requires every listed company shall formulate a code of conduct to regulate, monitor and report trading by its employees and other connected persons towards achieving compliance with these regulations and enforce a code of internal conduct and procedures based on the Model code provided therein. Applicability: The Code applies to the Members of Board of Directors (hereinafter referred to as "Board Members) and Members of the Senior Management (i.e. one level below the Board of Directors) of the Company. Directors must promptly disclose to the Company potential conflicts of interest regarding any matters concerning the Company. i) A director's personal interest is adverse to or may appear to be adverse to the interests of the Company as a whole. a. Relationship of Company with third parties Directors shall not receive a personal benefit from a person or any entity, which is seeking to do business or to retain business with the Company. They shall not participate in any decision-making process involving another entity in which they have direct or indirect interest. b. Compensation from non-Company sources Directors shall not accept compensation (in any form) for services performed for the Company from any source other than the Company. c. Gifts Directors shall not offer, give or receive gifts from persons or entities dealing with the Company, where any such gift is perceived as intended directly or indirectly, to influence any business decision. Gifts given to suppliers or customers or received from suppliers or customers should be appropriate to the circumstances and should not be of a kind that can create an appearance of impropriety. It is particularly clarified that gifts given or received on festive occasions consistent with the accepted business practices and which cannot be reasonably construed as payment or consideration for influencing or rewarding a particular decision or action should not violate this Code. Directors must comply, and oversee compliance by employees, officers and their staff, with laws, rules and regulations applicable to the Company, including insider-trading regulations. Directors must deal fairly, and must ensure fair dealing by employees and officers, with the Company's customers, suppliers, competitors and employees. No payment or transaction should be made, undertaken, by a Director or authorised or instructed to be made or undertaken by any other person or the Company if the consequence of that transaction or payment would be the violation of any law in force. Directors will always act to the best of their knowledge, belief and effort in the best interests of the Company and all its stakeholders, including employees, shareholders and others. 1. Undertake appropriate induction and regularly update and refresh your skills, knowledge and familiarity with the Company. 3. Strive to attend all meetings of the Board including a Separate meeting of the independent director and of the Board committees of which you are a member. 5. Strive to attend the general meetings of the Company. 7. Keep themselves well informed about the Company and the external environment in which it operates. 9. Pay sufficient attention and ensure that adequate deliberations are held before approving related party transactions and assure yourself that the same are in the interest of the Company. Each Board Members and Senior Managers both present and future shall acknowledge receipt of the Code or any modification(s) thereto, in the acknowledgement form annexed to this code as Appendix – I and forward the same to the Compliance officer. Board Member and Senior Managers shall affirm compliance with this code on an annual basis as at the end of the each financial year of the Company within 7 days of the close of the every financial year. The Company believes in the conduct of the affairs of its constituents in a fair and transparent manner by adopting highest standards of professionalism, honesty, integrity and ethical behaviour. Towards this, the Company has adopted the Code of Conduct (“the Code”), which lays down the principles and standards that should govern the actions of the Company and its employees. Any actual or potential violation of the Code, howsoever insignificant or perceived as such, would be a matter of serious concern for the Company. The role of the employees in pointing out such violations of the Code cannot be undermined. Section 177 (9) of the Companies Act, 2013 read with Rule 7 of the Companies (Meeting of Board and its Powers) Rules, 2014 mandates the following classes of companies to constitute a vigil mechanism – • Every listed company; • Every other company which accepts deposits from the public; • Every company which has borrowed money from banks and public financial institutions in excess of Rs. 50 crores. Further, as per Regulation 4 (d) (iv) of Securities And Exchange Board Of India (Listing Obligations And Disclosure Requirements) Regulations, 2015 provides for a mandatory requirement for all listed companies to establish a mechanism called the ‘Whistleblower Policy’ for directors and employees to report concerns of unethical behaviour, actual or suspected, fraud or violation of the Company’s code of conduct or ethics policy. Accordingly, this Whistleblower Policy (“the Policy”) has been formulated with a view to provide a mechanism for directors and employees of the Company to approach the Chairman of the Audit Committee of the Company. “Whistleblower” is defined as any Personnel (defined below) who has or had access to data, events or information about an actual, suspected or anticipated Reportable Matter within the organisation, and, whether anonymously or not, makes or attempts to make a deliberate, voluntary and protected disclosure or complaint of organisational malpractice. “Reportable Matters” means Questionable Accounting or Auditing Matters (defined below), and/or any other Company matters involving abuse of authority, breach of company Code of Conduct, fraud, bribery, corruption, employee misconduct, illegality, health & safety, environmental issues, wastage/misappropriation of company funds/assets and any other unethical conduct. “Questionable Accounting or Auditing Matters” include, without limitation, the following: • fraud or deliberate error in the preparation, evaluation, review or audit of any financial statement of the Company; • fraud or deliberate error in the recording and maintaining of financial records of the Company; • deficiencies in or non‐compliance with the Company’s internal accounting controls; • misrepresentation or false statement to or by a senior officer or accountant regarding a matter contained in the financial records, financial reports or audit reports of the Company; or • Deviation from full and fair reporting of the Company’s financial condition. “Personnel” means any employee, director, officer, customer, contractor and/or third‐party intermediary engaged to conduct business on behalf of the Company, such as agents and consultants. “Audit Committee” means the Audit Committee constituted by the Board of Directors of the Company in accordance with section 177 of the Companies Act 2013 read with Regulation 4 (d) (iv) of Securities and Exchange Board of India (Listing Obligations And Disclosure Requirements) Regulations, 2015. “Investigators” mean that person authorized, appointed, consulted or approached by the Chairman of the Audit Committee and includes the auditors of the Company. This Policy is not, however, intended to question financial or business decisions taken by the Company that are not Reportable Matters nor should it be used as a means to reconsider any matters which have already been addressed pursuant to disciplinary or other internal procedures of the Company. Further, this Policy is not intended to cover career related or other personal grievances. The Whistleblower’s role is that of a reporting party. Whistleblowers are not investigators or finders of facts; neither can they determine the appropriate corrective or remedial action that may be warranted. While this Policy is intended to protect genuine Whistleblowers from any unfair treatment as a result of their disclosure, misuse of this protection by making frivolous and bogus complaints with mala fide intentions is strictly prohibited. Personnel who makes complaints with mala fide intentions and which are subsequently found to be false will be subject to strict disciplinary action. Personnel should raise Reportable Matters with someone who is in a position to address them appropriately. In most cases, a Personnel’s supervisor, manager or point of contact is in the best position to address an area of concern. Supervisors, managers or points of contact to which Reportable Matters are raised are required to report the same immediately to the Chairman of the Audit Committee. Although a Whistleblower is not required to furnish any more information than what he/she wishes to disclose, it is essential for the Company to have all critical information in order to enable the Company to effectively evaluate and investigate the complaint. It is difficult for the Company to proceed with an investigation on a complaint, particularly an anonymous complaint, which does not contain all the critical information such as the specific charge. Audit Committee shall address all concerns or complaints regarding Reportable Matters which are placed before them, and ensure resolution of the same. The Audit Committee, either direct the complaint to the organization/department best placed to address it (while maintaining oversight authority for the investigation), or lead the investigation in person to ensure prompt and appropriate investigation and resolution. All information disclosed during the course of the investigation will remain confidential, except as necessary or appropriate to conduct the investigation and take any remedial action, in accordance with any applicable laws and regulations. The Company reserves the right to refer any concerns or complaints regarding Reportable Matters to appropriate external regulatory authorities. All Personnel have a duty to cooperate in the investigation of complaints reported as mentioned hereinabove. Depending on the nature of the complaint, any concerned Personnel, at the outset of formal investigations, may be informed of the allegations against him/her and provided an opportunity to reply to such allegations. Personnel shall be subject to strict disciplinary action up to and including immediate dismissal, if they fail to cooperate in an investigation, or deliberately provide false information during an investigation. If, at the conclusion of its investigation, the Company determines that a violation has occurred or the allegations are substantiated, the Company will take effective remedial action commensurate with the severity of the offence. This may include disciplinary action against the concerned Personnel. The Company may also take reasonable and necessary measures to prevent any further violations which may have resulted in a complaint being made. In some situations, the Company may be under a legal obligation to refer matters to appropriate external regulatory authorities. No Personnel who, in good faith, makes a disclosure or lodges a complaint in accordance with this Policy shall suffer reprisal, discrimination or adverse employment consequences. Accordingly, the Company strictly prohibits discrimination, retaliation or harassment of any kind against a Whistleblower who, based on his/her reasonable belief that one or more Reportable Matters has occurred or are occurring, reports that information. Any Personnel who retaliates against a Whistleblower who has raised a Reportable Matter in good faith, will be subject to strict disciplinary action up to and including immediate termination of employment or termination of his/her relationship with the Company. If any Personnel who makes a disclosure or complaint in good faith, believes that he/she is being subjected to discrimination, retaliation or harassment for having made a report under this Policy, he/she must immediately report those facts to his/her supervisor, manager or point of contact, or If, for any reason, he/she does not feel comfortable discussing the matter with these persons, he/she should bring the matter to the attention of the Audit Committee. It is imperative that such Personnel brings the matter to the Company’s attention promptly so that any concern of reprisal, discrimination or adverse employment consequences can be investigated and addressed promptly and appropriately. In addition to the Company’s internal complaint procedure, Personnel should also be aware that certain central, local and state law enforcement agencies and regulatory authorities are authorized to review questionable accounting or auditing matters, or potentially fraudulent reports of financial information. Nothing in this Policy is intended to prevent any Personnel from reporting information to the appropriate agency when the Personnel have reasonable cause to believe that the violation of a central, local or state statute or regulation has occurred. The Code of Conduct as well as the Company’s policies and practices have been developed as a guide to our legal and ethical responsibilities to achieve and maintain the highest business standards. Conduct that violates the Company’s policies is viewed as unacceptable by the Company. Certain violations of the Company’s policies and practices could even subject the Company and any individual employee involved to civil and criminal penalties. Before issues escalate to such level, Personnel are encouraged to report any violations covered herein above, or reprisal, discrimination or adverse employment consequences related to such reports. The enactment of the Companies Act 2013 (the “Act”), Securities and Exchange Board of India (Listing Obligations and Disclosure Requirements) Regulations, 2015 (Listing Regulations) and requirements under the Income Tax Act relating to Transfer Pricing both for International and Domestic transactions, has resulted into a significant importance on the compliances to be made on the Related Party Transactions. Pursuant to Regulation 23 of Listing Regulations, the Company is required to devise a policy on materiality of Related Party Transactions and also on dealing with Related Party Transactions. Shreeshay Engineers Limited (the “Company”) recognizes that Related Party Transactions can present potential or actual conflicts of interest and may raise questions about whether such transactions are consistent with the Company’s and its stakeholders’ best interests. The Objective of this Policy is to bring uniform practices relating to Related Party Transactions covering the process, methodology, arm’s length pricing, approval mechanism, disclosures and compliance with the provisions of the Companies Act 2013 and rules framed thereunder, Listing Regulations and the Transfer Pricing norms prescribed under the Income Tax Act, 1961 and Accounting Standards. Hence the Company seeks to formulate a robust Policy on Related Party Transactions to deal with the identification, review and approval of Related Party Transactions. This Policy is applicable to all Related Party Transactions entered by the Company as per the Companies Act, 2013 and the Listing Regulations. 1. ‘Act’ means Companies Act, 2013, as amended from time to time. 2. ‘Arm’s Length Transaction’ means a transaction between the Company and its Related Party(ies) that is conducted as if they were unrelated and at a fair value, so that there is no conflict of interest. 3. ‘Associate Company’ means any company, in which the Company controls at least twenty per cent (20%) of total share capital or controls business decisions under an agreement, including a joint venture company but not a subsidiary of the Company. 4. ‘Audit Committee’ or ‘Committee’ means Committee of Board of Directors of the Company constituted under provisions of the Act and the Listing Regulations. 5. ‘Director’ means a director on the board of the company. 6. ‘Key Managerial Personnel or KMP’ mean key managerial personnel as defined under the Act. 7. ‘Material Related Party Transaction’ means a transaction with a Related Party if the transaction / transactions to be entered into individually or taken together with previous transactions during a financial year exceed ten percent (10%) of the annual consolidated turnover of the Company as per the last audited financial statements of the Company. 8. ‘Policy’ means this Related Party Transaction Policy. 9. ‘Related Party’ has the same meaning as assigned to it under the Act and the Listing Regulations, as amended from time to time. 10. ‘Related Party Transaction’ means transaction in the nature of contract involving transfer of resources, services or obligations between the Company and its Related Party, regardless of whether a price is charged or not. A transaction with a related party shall be construed to include transaction or a group of transactions in a contract. ‘Stock Exchanges’ means the stock exchanges where equity shares of the Company are listed. 11. ‘Subsidiary company’ or ‘subsidiary’ means the company as defined under Section 2(87) of the Companies Act, 2013. However, for the purpose of compliance under the Listing Regulations, subsidiary or subsidiary company means the company as defined under the accounting standards issued by the Institute of Chartered Accountant of India. 12. ‘Total Share Capital’ means the aggregate of the (a) paid‐up equity share capital; and (b) convertible preference share capital. Words and expressions not defined in this Policy shall have the same meaning as contained in the Act read with the Rules made thereunder, the Listing Regulations or any other applicable laws or regulations. All Related Party Transactions shall be placed before the Audit Committee for its pre‐approval in accordance with this Policy. i. Each Director and KMP shall disclose to the Company Secretary in form MBP‐1, at the time of appointment, beginning of every financial year and whenever there is any change in the disclosure so made, about all persons, entities, firms in which he/she is interested, whether directly or indirectly. ii. The Chief Financial Officer, at the beginning of every financial year, shall provide the information to the Company Secretary about the related parties of the company and subsequent changes therein forthwith (If any). iii. The Company Secretary shall compile the information received from all concerned and send the information about such Related Parties to Functional Heads (i.e. Accounts, Finance, Legal, HR, Marketing etc. ), Business Heads and any other concerned person for their information and any necessary action. iv. Functional Head / Business Head shall forward to the Company Secretary and Chief Financial Officer, the details of any proposed Related Party Transaction with the draft terms and conditions or other related information and certifying that such Transactions are at arm’s Length and in ordinary course of business. The Company Secretary or the Chief Financial Officer, upon receipt of such information, will furnish the same to Audit Committee for its approval and further action, if any. v. Any proposed modification(s) in the Related Party Transactions already entered into shall be intimated to the Company Secretary and Chief Financial Officer by the Functional Head / Business Head, which shall be placed before the Audit Committee for its prior approval in accordance with this Policy. i. All the Related Party Transactions shall require prior approval of the Audit Committee. ii. The Audit Committee may grant omnibus approval for Related Party Transactions subject to the conditions as laid down under the Listing Regulation, as amended from time to time. iii. Any member of the Audit Committee who has a potential conflict of interest in any Related Party Transaction shall abstain from discussion and voting. i. sale, purchase or supply of any goods or materials. iv. availing or rendering of any services. vii. Underwriting the subscription of any securities or derivatives thereof, of the Company. II. All the Material Related Party Transactions shall be considered and approved by the Board before placing them before shareholders for their approval except for those transactions that do not require approval under Section 177 and 188 of the Act; and are transactions entered into between the Company and its wholly‐owned subsidiary whose accounts are consolidated with the Company and placed before the shareholders at the general meeting for approval. III. Where any Director is interested in any Related Party Transaction, such Director will abstain from discussion and voting on the subject matter of the resolution relating to such Transaction. For the purpose of this Policy, wholly‐owned subsidiary means a company whose 100% voting power, directly or indirectly, is controlled by another company i.e. holding company. I. To approve a Related Party Transaction, the Committee/ Board/ shareholders, shall be provided all relevant material information of the Transaction, including the terms, purpose of the transaction and such other details as required under the applicable law or by the Committee/Board, as the case may be. While approving a Related Party Transaction, the Committee/Board will consider the following factors, among others, to the extent relevant: Whether the terms on which Related Party Transaction proposed are fair and on arm’s length basis to the company; Whether the Related Party Transaction would affect the independence of an independent director; Whether the Related Party Transaction includes any potential reputational risk that may arise as a result of or in connection with the proposed transaction; and Whether the Related Party Transaction would present conflict of interest for any Director or KMP of the Company. Whenever there is any doubt with regard to transaction(s) with Related Party(ies) and/or the applicable corporate governance requirements, the Audit Committee / Board shall be entitled to seek a legal opinion/clarification for the same. II. The Audit Committee shall consider all relevant facts and circumstances regarding a Related Party Transaction placed before it. III. In the event of any Director, KMP or any other employee become aware of any Related Party Transaction(s) that has been omitted to be approved by the Audit Committee/Board/Shareholders or is in deviation of this Policy, such person shall promptly notify the Company Secretary of such transaction, who shall ensure that such transaction is brought to the notice of the Audit Committee or the Board, as applicable, at the earliest. IV. The Audit Committee / Board shall evaluate such transaction(s) and may decided necessary action as it may consider appropriate including ratification, revision or termination of the Related Party Transaction. I. In terms of the provisions of Section 134(3)(h) of the Act, Related Party Transactions requiring approval of Board/Shareholders under Section 188 of the act shall be disclosed in the Director’s Report along with the justification for entering into such Related Party Transactions. II. Details of all Material Related Party Transactions shall be disclosed quarterly along with Company’s Compliance Report on Corporate Governance, in accordance of the Listing Regulation but which is not applicable to our company right now due to listed under SME platform. III. This Policy shall be disclosed on the website of the Company and a web link thereto shall also be provided in the Annual Report. IV. The Company shall keep one or more registers giving separately the particulars of all contracts or arrangements with any Related Party. I. This Policy is based on the provisions of the Act and rules framed there under and as per the requirements of the Listing Regulation. II. In case of any changes in the provisions of the Act, the Listing Regulation or any other regulation which are inconsistent with the Policy, such amended provisions would prevail over the Policy. III. The Company Secretary and Chief Financial Officer jointly authorized to amend this Policy to be consistent with the prevailing provisions of the Act and Listing Regulation, which shall be placed before the Audit Committee and Board for their approval. In case of any doubt with regard to any provision of the Policy and also in respect of matters not covered herein, a reference shall be made to the Chairman of the Committee. In all such matters, the interpretation and decision of the Chairman shall be final. The Company reserves the right to modify, cancel, add, or amend any clause of this Policy as set out above.